The governor said it was “unfortunate” that Blagojevich didn’t pay closer attention to the petitions. Gov. 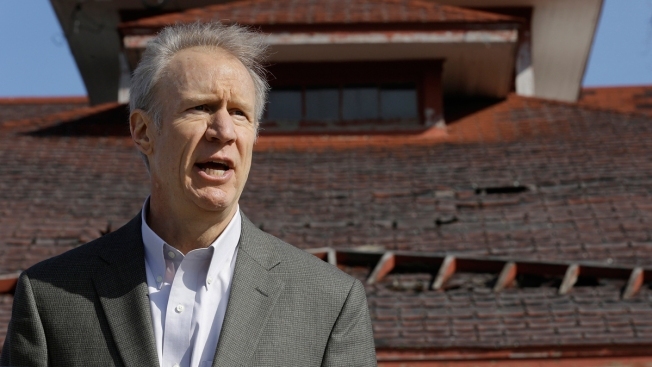 Bruce Rauner announced Monday that his office closed a massive backlog of clemency petitions left by incarcerated former Gov. Rod Blagojevich, the Chicago Sun-Times reports. The backlog dates back to 2003, the year Blagojevich took office. According to the Illinois Prisoner Review Board, Blagojevich acted on less than 25 percent of petitions filed while he was governor. Former Gov. Pat Quinn inherited nearly 3,000 clemency petitions when he took over for Blagojevich in 2009, according to the report. Although he acted on several thousand, Rauner was left with over 2,000 cases when he became governor in 2015. According to the report, the Rauner administration has reviewed over 2,300 petitions, 2,209 of which came from previous administrations. Thus far, clemency has been granted to 79 people, with three commutations also granted. The Rauner administration has now reviewed and acted on all clemency requests from past administrations, according to the report. Additionally, four innocence requests remain outstanding from prior administrations, Rauner’s administration told the Sun-Times. “We take this very seriously, and we have spent a lot of time the last two years reviewing cases,” Rauner told the paper Monday. “Every request gets thoughtful, thorough analysis and discussion." Clearing the backlog was a priority of Rauner’s criminal justice reform platform. The governor, who says he wants to focus on rehabilitation and preventing recidivism, has signed 14 criminal justice bills since taking office, the Sun-Times reports.